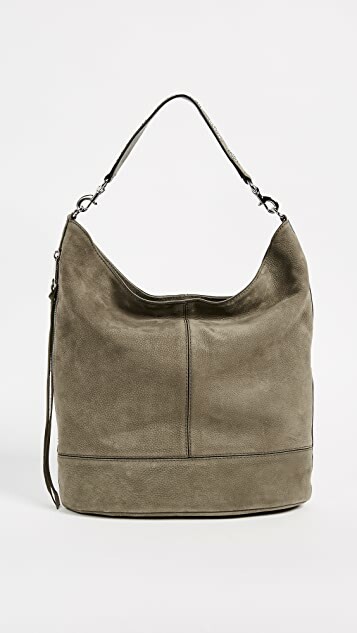 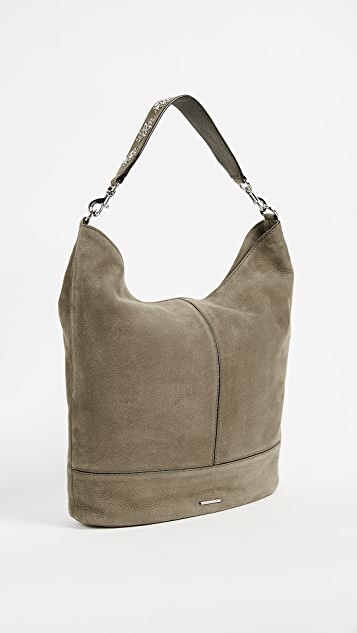 An understated Rebecca Minkoff hobo bag in soft nubuck. 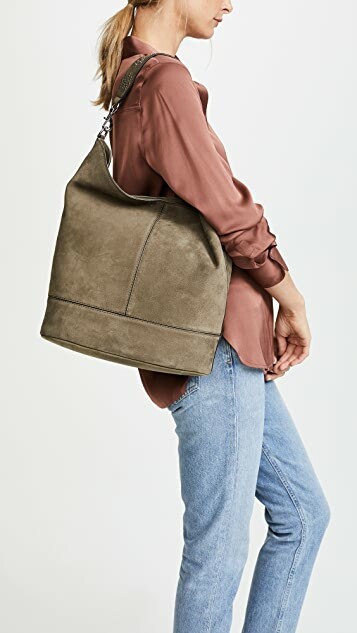 A zip pocket opens at the side. 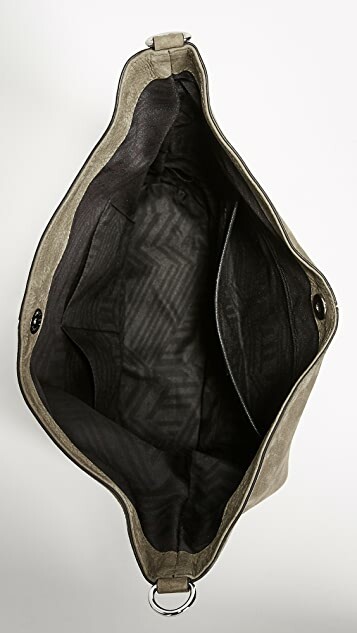 Magnetic top and lined, 3-pocket interior. 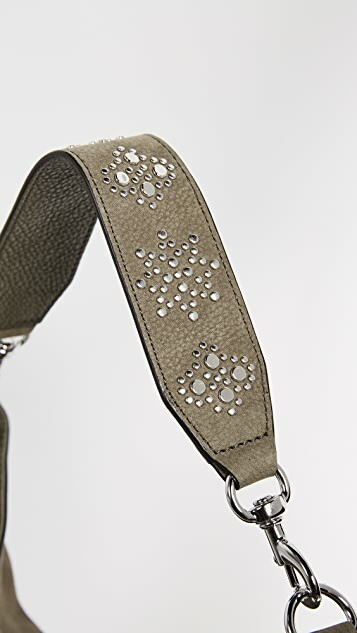 Optional sling strap.